If you are selling your home and are looking for a smart incentive to offer your buyer, consider equity sharing as a way to take a tax-deductible stake in the property and draw high-income but low-equity buyers toward your home. Here’s how it works: if a prospective buyer does not have enough money for a down payment, but can afford the regular monthly costs and mortgage for your home, you can make the down payment yourself to buy a stake in your current home. While the seller owns the greater part of the equity, you can receive yearly tax deductions on mortgage interest and property taxes because of your stake in the home. When the current homeowner is ready to sell down the road, you could possibly make a considerable profit on your down-payment investment! For example: if you put down $20,000 and the home resells at a 20 percent profit, your home-selling profit just jumped up by $4,000, not counting the tax deductions you receive while the money is locked into equity. In the end, you’ve helped to speed up your own selling process, and banked on the money you’ve made from the sale. 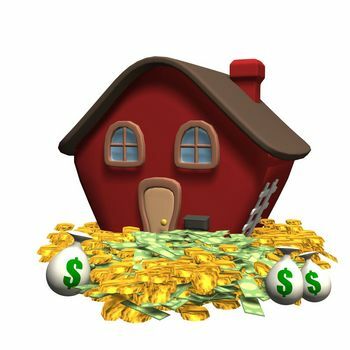 This is one way to be a savvy home seller AND an investor! All of the minor factors, such as the size of the down payment and the way the deed is split, can be negotiated in your contract with the buyer.